A Year in Champagne is not simply an overview of the iconic winemaking region that has become a byword for sparkling wine. 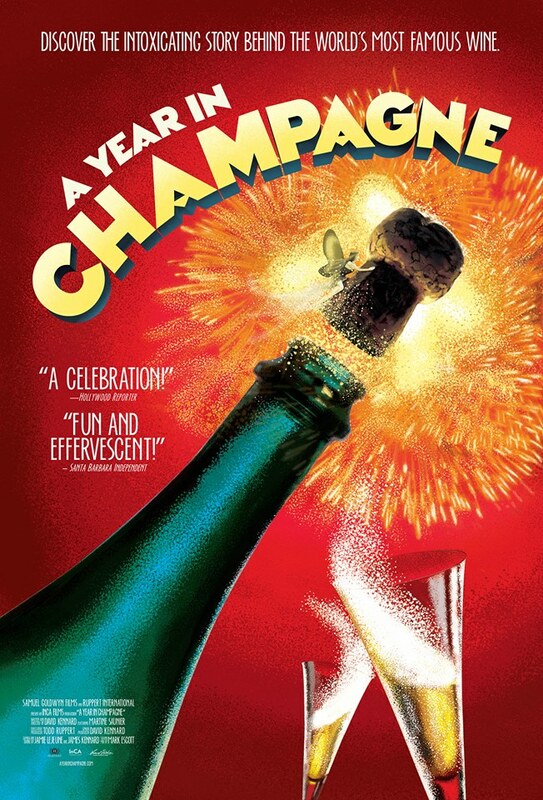 It is a documentary that also explores the lesser-known aspects of Champagne and its history, like the region’s tragic war record or the 1 billion bottles cellared beneath its streets. The results is a more complete picture of Champagne, a Champagne that is not only traditional, but also resilient and seductive. A large part of A Year in Champagne focuses on the actual winemaking process, which is always interesting to see. Strapped by rules, the winemakers, vineyard hands, and cellar workers must be precise in their dates and measurements, even down to the centimeter. As one of Champagne’s wine regulators explains in the documentary, failure to adhere to the regulations can result in losing your vineyard. Although France is generally known for its strict control over its winemaking, A Year in Champagne goes deeper and shows that there is passion and family tradition behind this notorious rigidity. For all the joy and celebration that Champagne connotes, there is also a dark side to the region’s history. Champagne’s location at the heart of Europe made it a crossroads for war. After nearly 2000 years of battle, its hills have become “soaked in blood.” Attila the Hun, the Napoleonic Wars, the One Hundred Years War, the Franco Prussian War, WWI, and WWII: they all touched Champagne. Armies have crossed and re-crossed its lands, taking lives and decimating the landscape. And yet the region has survived. It is truly a story of resilience. At times grim, at times joyous, but definitely educational, A Year in Champagne is absolutely worth your time. The one thing I feel the film is lacking is a more in-depth look at the process of disgorgement, which is only shown briefly at the end. To me, this is one of the most unique aspects of the champagne making process, and I would have loved to have seen more of the specifics. The film can be purchased here and the trailer viewed here. For screening information, check out the film’s website.